Kia's biggest front-wheel-drive sedan, the 2015 Kia Cadenza is a nicely equipped, reasonably priced, and sportier-than-expected 4-door. If the $36,000 base car doesn't offer enough, the upgraded Limited adds Nappa leather and a host of other luxury touches for less than you might expect. Kia Cadenza - A wonderful combination of features and luxury at a very affordable price point. The Cadenza is a wonderful choice for someone who wants the luxury and comfort features typically found in high end European sedans at a very affordable price. I travel frequently between offices in Tampa Bay and South Georgia and the Cadenza is a wonderful vehicle for highway driving. My commute is typically 3 1/2 to 4 hours each way and I can make the trip without arriving fatigued. Fuel economy is good for the size of the vehicle with the 6 cylinder engine and the vehicle has plenty of power for interstate driving and passing. Kia Certified Pre Owned vehicles are a great value and they provide excellent professional support after the sale. 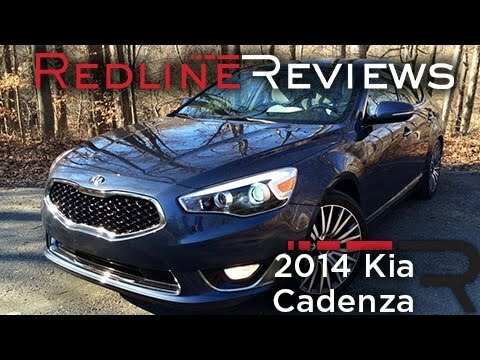 I switched from a BMW to Kia with this Cadenza being my 3rd consecutive Kia and 2nd Cadenza. I can say without hesitation that my next vehicle will be another Kia. Technology lover? This car has it ALL... everything you could ever want, (and may not even know how to use). I like the cameras, especially the one that allows me to see that I'm parking correctly between the lines. The ride is very nice smooth. I don't like that there is no windshield wiper on the back window, and that the seat doesn't go back far enough. I don't like the GPS. It's too complicated. I use my phone. I like the opening in the back seat, so I can carry long items. Bluetooth is totally unnecessary and I don't need or know how to use it. I wish it had a real ignition, with a hole for a key. As I said, I really love that top camera. Practical and professional luxury for under $50k. The Kia cadenza is a fabulous vehicle for day to day travel as well as long trips out of state. Features are plentiful and practical regarding the GPS navigation system, rearview display and Bluetooth connection to the phone which provides a ride of comfort that compliments the luxury ride offered by the manufacturer.